PTƟ Primordial Algorithms are sequence of steps necessary for solving a particular challenge, which have been designed by following an understanding of nature laws, principles, rhythms, cycles, and human potential (stages of development), as well by utilizing PSL (Primordial Symbolic Language, which is a form of symbolic language that utilizes nature laws, principles, rhythms, cycles, and human potential (stages of development), references to myths, legends, knowledge, technology and history of nature inspired ancient cultures and civilizations). PTƟ Primordial Algorithms are also, as for their design and tools for their description, utilized to describe behavior and status, development process of natural, artificial and human phenomena. 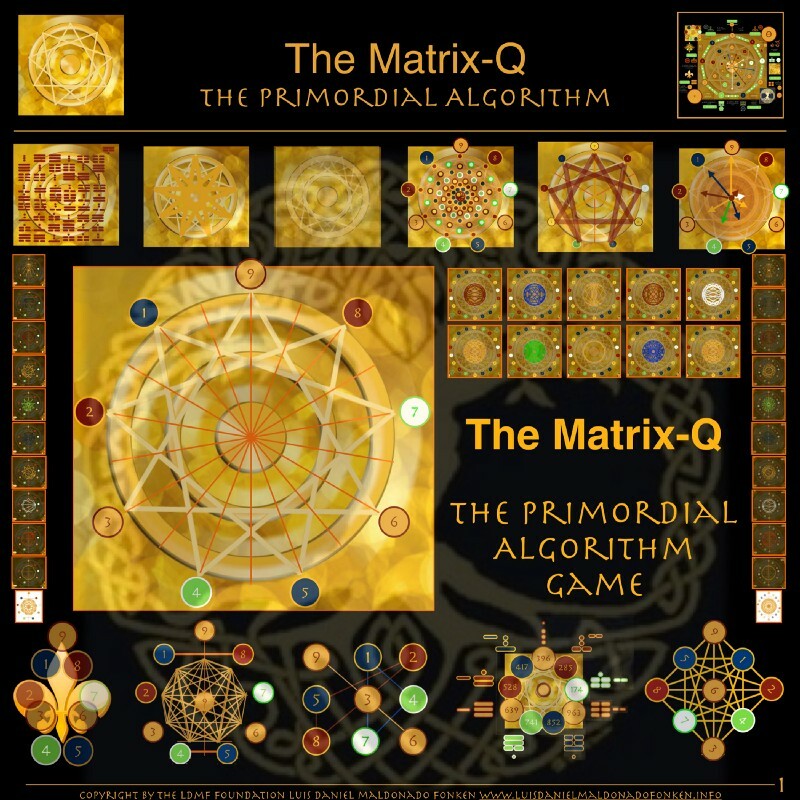 In general PTƟ Primordial Algorithms can be represented by the use of Matrix-Q PTƟ Primordial Mathematics, and use of Matrix-Q Assessment Tools, that will help the researcher observe patterns of geometrical value. (See below Matrix-Q Methods). By the study of PTƟ Primordial Algorithms, PSL.2018 and the PTƟ CGE (Culture generation engine, a tool that utilizes PTƟ Primordial Algorithms and is capable to set the operating generation and development principles that defines and supports the unfolding of a culture) it has been possible to translate human into a PTƟ Primordial Human Algorithm. Through the study of Matrix-Q PTƟ Primordial Mathematics, and use of Matrix-Q Assessment Tools, the researcher is able to observe patterns of geometrical value in the methods, cultural costumes, principles described through knowledge base. The Matrix-Q Assessment tools are systemic synergetic holistic methods that help the researcher perceive, organize and manage natural, human and artificial phenomena. The results of the assessment can be shown throw geometrical structures (geometrical values) that offer patterns useful for correlation and identification of similarities, correspondences, congruences and proportional relationships between the objects of study. The Matrix-Q Tests, applied on the systems being studied, will give as result references on the stages of development reached by the objects of study, according to the score cards applied (Matrix-Q Quantification of the Human Capital Value Tool – Application for Cultures and Communities). 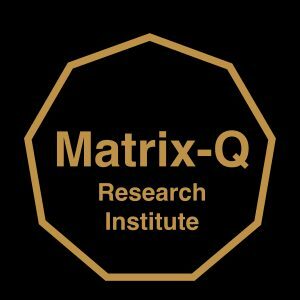 Matrix-Q Tests provide a reference quotient of intelligence, that sign the ability of the individual and collective to approach challenges by utilizing several perspectives simultaneously. As well the Matrix-Q knowledge on the CGE, Culture Generation Engine and PSL (Primordial Symbolic Language), both to be described as well through PTƟ Primordial Mathematics, geometrical values and patterns, will serve us for the study of the main traits and skills, strengths, legacy of the objects of study (cultures, collective human) and their development; but as well purpose of creating a bridge into nonary computing, time reversible algorithms, and Matrix-Q Artificial Intelligence based applications that will serve us for reverse engineering, big data analysis, and design of more advanced simulations. A Matrix-Q test can be requested online to the LDMF Foundation since 2017.June. through this test individuals and organizations can assess their ability to perceive from several perspectives their main challenges, and identify perception weaknesses as well sides of the challanges they never noticed before. How To Design and Algorithm Through Story Telling? At RG, Research Gate Network, has been published the following Gamified Research Project. Collaborators may receive points, gift certificates and support and opportunities to join the game through that platform. Please contact us for more details.